Driving home from Florida has been more than we bargained for. 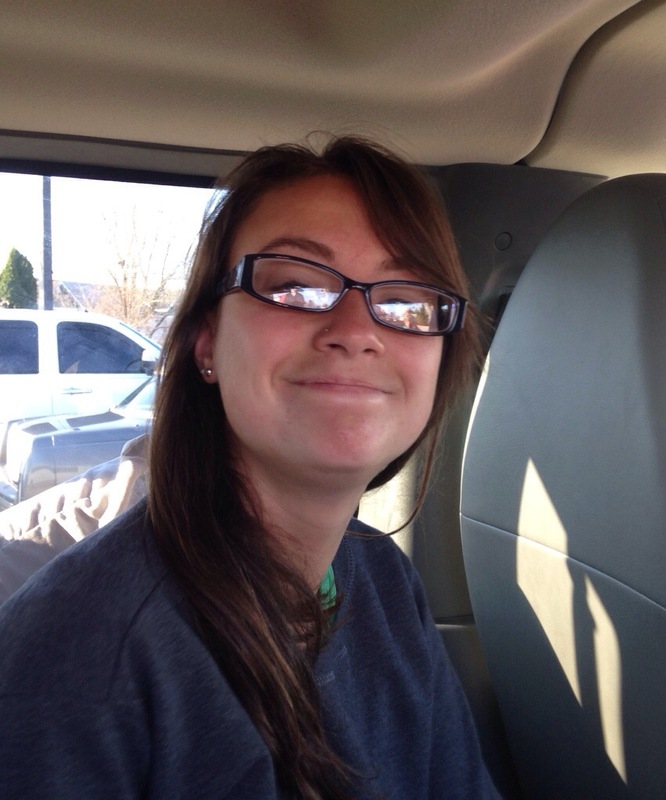 You expect the vans to be filled with a variety of conversations, singing, and sleeping travelers. And we’ve had plenty of all three. But after our dinner stop at Chick-fil-a and Zaxby’s (which included an opportunity for some on the team to pray with an employee) we had an unexpected occurrence. 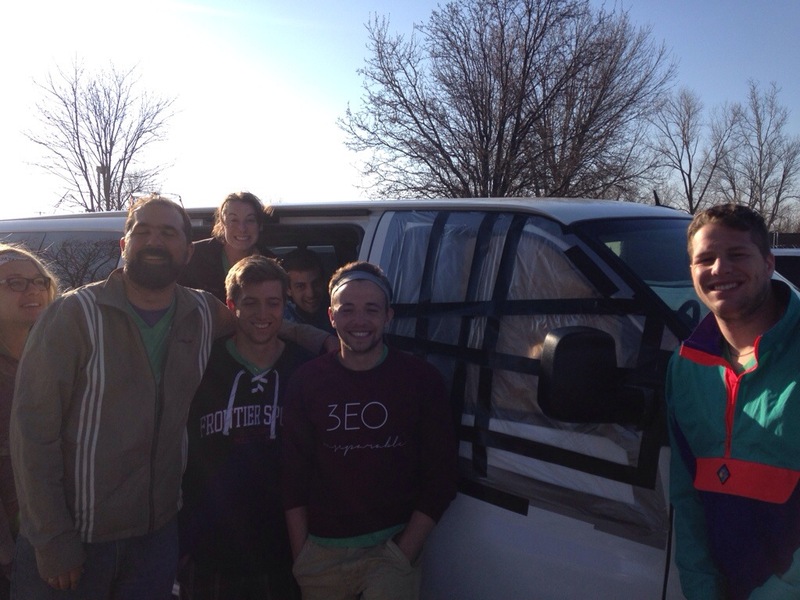 Just before midnight, as Shosh was driving one of our three vans up I75, the front passenger seat window simply SHATTERED! Fortunately Shosh was a rock and didn’t panic but kept the van steady and had Connor let us know to pull over. 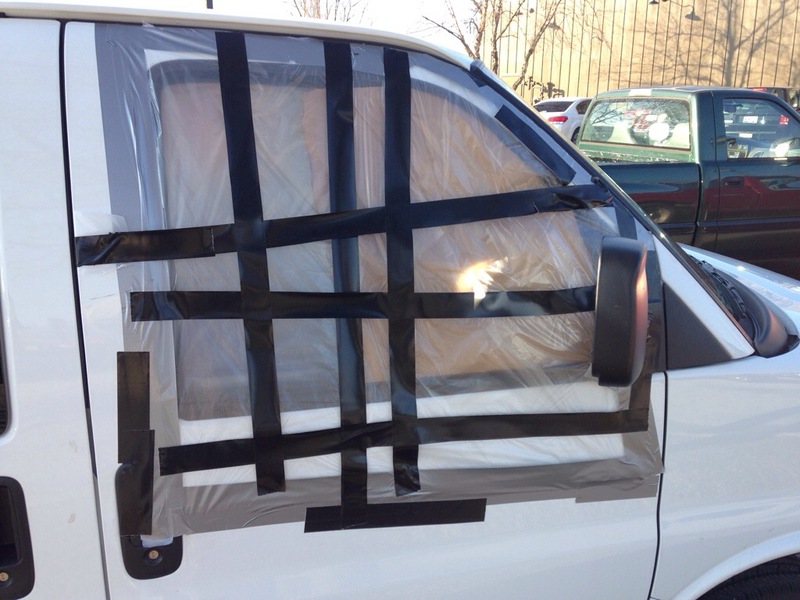 Two rolls of Duct tape (and Gorilla tape), a roll of plastic sheeting and some good old-fashioned ingenuity “fixed” the window and got us back on our way – with just a little delay.